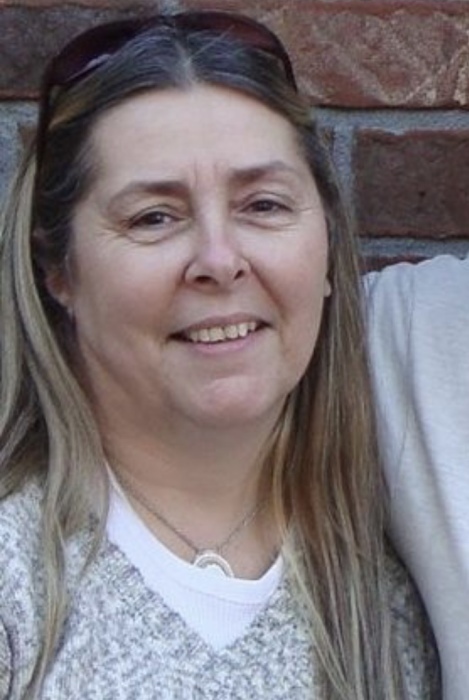 Mrs. Rebecca Kay Burkhart, age 61 of Pennington Gap, VA was born Sunday, March 23, 1958 in Kokomo, IN and passed away Monday, March 25, 2019 at the Holston Valley Medical Center in Kingsport, TN. She was preceded in death by her husband Dan J. Burkhart and father Louie Brewer. Rebecca is survived by her fiance, Jerry Richard Parsons of Pennington Gap, VA, mother Patricia Brewer of Kokomo, IN, two sons Evan Hildebran and fiance, Molly Sanders of Gainsville, FL, Joseph W. Burkhart and wife, Jennifer L. of Muldraugh, KY, one daughter Ashlee Hildebran of Logansport, IN. She was a mother to Jesse Aaron Parsons and wife, Sakorra of Big Stone Gap, VA, three grandsons Nolan J. Burkhart, Samuel J. Burkhart and Brantley W. Burkhart, two granddaughters Kassidey E. Burkhart of Muldraugh, KY and Trinity Lacey of Augusta, GA, one sister Regina Hester of Kokomo, IN and her special friend Renae McGill. Funeral Services will be held at 2:00 PM on Saturday, April 6, 2019, at the Muldraugh Baptist Church, with Rob Mattingly officiating. Burial will be private. Visitation will be held at the church from 12:00 Noon until the time of service on Saturday.